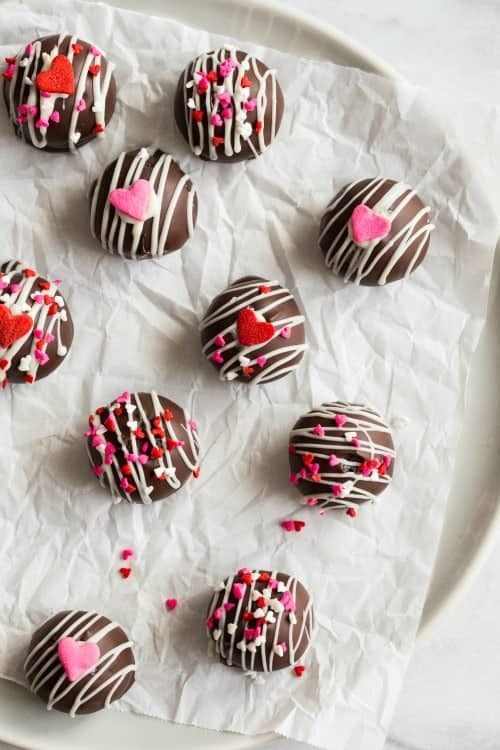 Wow your Valentine with these super easy Berry Oreo Cookie Balls. No-bake, full of love and all the sprinkles you can handle. As I’ve been saying for weeks, I’m all about easy recipes due to our upcoming move. If I’m being honest, no-bake recipe are even better. Especially when those recipes include lots of chocolate and adorably festive Valentine’s Day sprinkles. Guys, we’re entering a scary time: it’s almost time to pack the kitchen. I’m pretty certain it will be the absolute worst. Take a normal kitchen and times it by like 100 because I have more glassware, dishes, flatware and linens than you can imagine. It’s a problem. A food blogger problem, but a problem nonetheless. Armed with rolls of bubble wrap and what I’m hoping are enough boxes, I’m ready to conquer this task early next week. I’m seriously wishing there was a moving company that accepted cookies and cupcakes as a method of payment. But I checked, and it’s not a thing. Not even a dad and brother thing. Sigh. 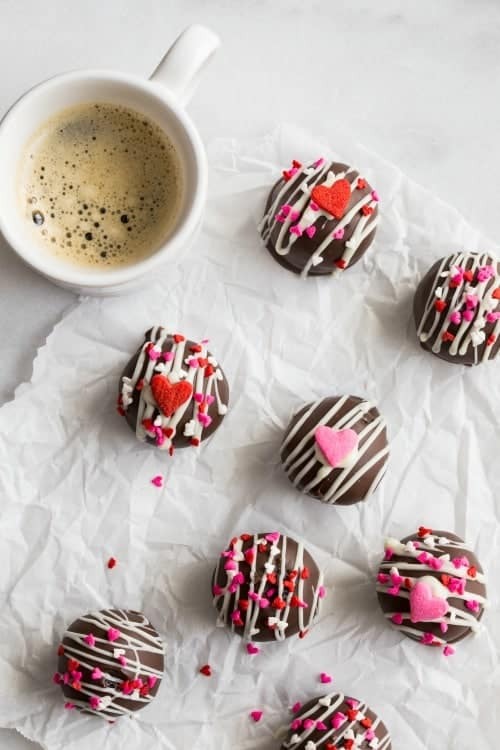 Oreo Cookie Balls are always one of my go-to recipes for any occasion. Not only are they ridiculously simple, they’re also incredibly easy to customize for any holiday or special event. And they always seem to disappear from the dessert table in a flash – I mean who can resist poppable bites of candy covered Oreos? Certainly not this girl. I originally planned to use the new Red Velvet Oreos in this recipe, but I can’t find them anywhere. I’m still on the hunt though because I want to use them in another recipe later this month. Not to worry, Oreo has some non-seasonal cookies that work just as well. Have you tried the Berry Burst Ice Cream Oreos? Chocolate and sweet pink berry cream – gotta love that. They’re perfect here, and especially for Valentine’s day. Covered in candy coating and adorable heart-shaped sprinkles, what’s not to love? You’ve got to make these Berry Oreo Cookie Balls, you guys. They’re so simple and perfect for sharing with everyone you love! In a large bowl with an electric mixer, beat cream cheese on medium speed for about 2 minutes. Add crushed Berry Burst Ice Cream Oreos and mix until well-combined. Using a small cookie scoop, measure mixture (about 2 teaspoons) and then roll into cookie balls. Place rolled cookie balls on prepared cookie sheet and place into the refrigerator for about 30 minutes or into the freezer for 10 minutes. Once cookies balls are chilled, melt candy wafers according to package directions. Dip cookie balls (see tip below) in melted candy wafers and place back onto parchment lined cookie sheet. If desired, sprinkle with festive Valentine's Day sprinkles. Once all cookie balls are dipped, refrigerate them for one hour. Dipping Tip: I place a cookie ball on a fork over the bowl of melted wafers and spoon the melted candy wafers over the cookie ball. Allow excess candy to drip off into the bowl. Slide the cookie ball off of the fork and onto the parchment paper using a toothpick. 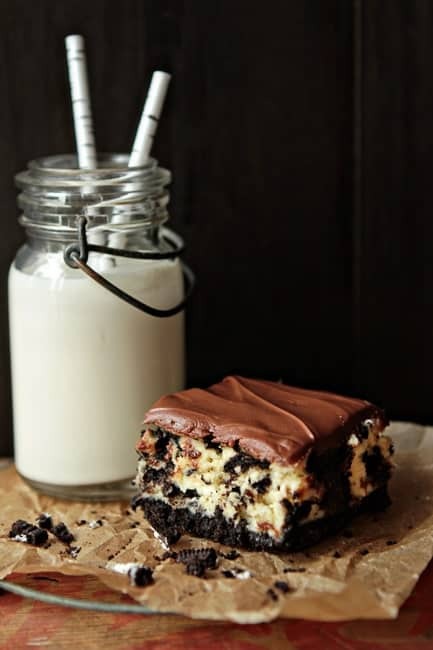 Looking for more delicious Oreo recipes? be sure to check these out! So much love in these little balls! They are the cutest! Oreo balls are my favorite and I make them for my co-workers. They actually call them “Tom’s Balls” at work, which sounds a little sick and twisted to me. I love the idea of using Berry Oreo’s, this will make my co-workers very happy! Bwahahaha! That’s pretty hysterical! Thanks so much for stopping by and giving me a chuckle. Have a great day! I love making oreo balls. They’re the easiest thing to whip up for a party and they’re so delicious! It’s the cream cheese, it’s a magical ingredient. 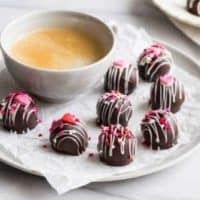 I’m loving all these chocolate recipes! Can’t wait to try this one! My husband would love those oreo balls! We are Oreo fans in our house…these wouldn’t last long!! 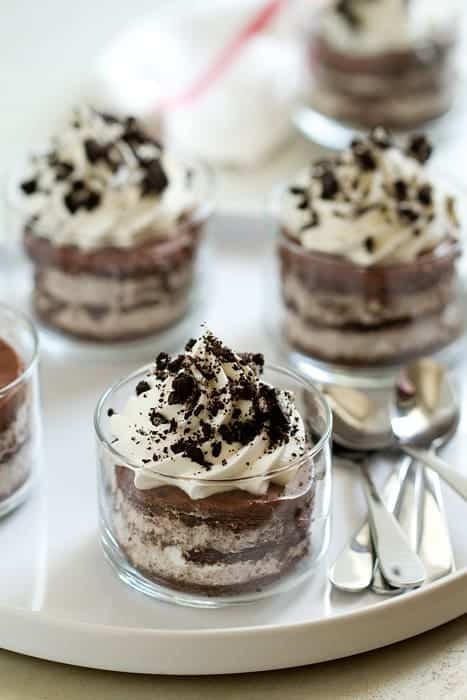 I love Oreo ANYTHING! These look great!! Your creamscilcle cupcakes are wonderful. Thanks for the recipes. 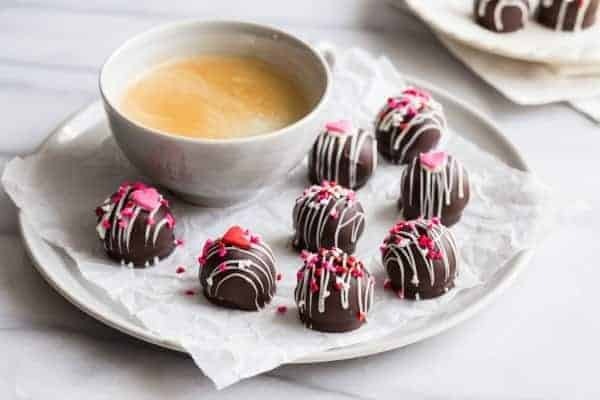 Can I use white chocolate bars instead of the melts? Hi, Leslie! I think you probably can. Add maybe 1 tablespoon of shortening to 5 ounces of white chocolate bar. I hope you enjoy them!